terms. It will take a while for the app to get it but this update should improve that time-to-learning. Another update is the Gesture auto-completion. This allows you to complete a word before you have complete the gesture of writing that word on the keyboard. 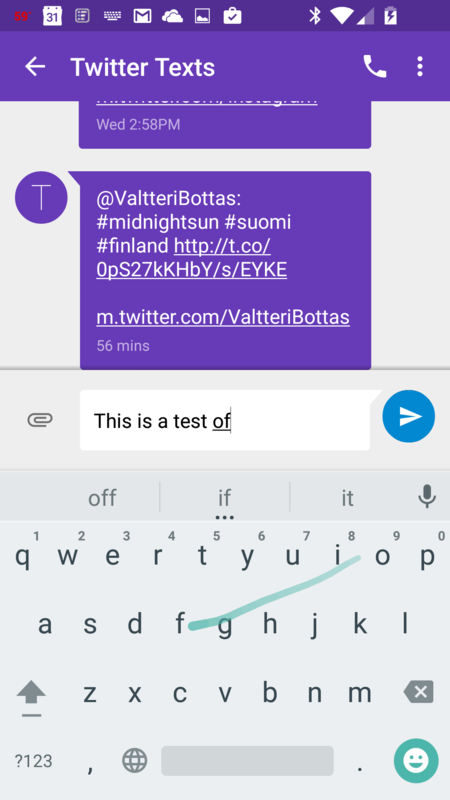 Along with these improvements in using Google Keyboard, the app has also improved the sync settings of your user history across devices to improve suggestions. That means that if you use the app on both your phone and your tablet, the suggestions and learnings of the app will sync across them. Then, of course, there are the normal bug fixes and stability improvements that we come to expect with every update. One interesting note in the release notes is that Google has specifically called out battery improvements.